It´s easy to find the default images for users in Windows 8.1 and Windows-10! You can copy the default user profile image in each folder or directory on your Windows PC 8.1! ... change user account picture in windows 8.1! ... change the Windows 8 user password, remove or create! ... enable the password prompt for screen saver in Windows 8.1! (Image-1) Default images for users in Windows 8.1 e.g. picture, directory! Windows-8 - FAQ-164: Where are the default images for users in Windows 8.1 / 10 (picture, directory)! Turn off the left desktop corner APP switcher in Windows 8.1 / 10 (screen, disable)! Windows 8 default pictures directory? How to change windows 10 default picture? Windows 10 user account pictures location? DOWNLOAD WIN 10 account photos? Where are user account pictures located windows 10? Sample user account pictures windows 10? Windows 10 What is stored in a user profile? How do you delete a user photo in windows 10? Are there picture icons preinstalled on windows 10 to choose for user account? Windows 10 default user profile? Windows 10 user image location? How to remove user profile picture in windows 10? Account image location windows 8.1? Where to find windows default images? Dir for the login pictures window? Win 10 default profile picture? Sign on windows photo location? Where user account photo save in windows 8.1? How to delete your account picture in windows 10? How set account pic in win 8.1pro? Account Picture Location Windows 8.1? Windows 10 Default Pictures Location? Can't see default pictures for windows 8.1 user accounts? Windows 8.1 default profile in image? User account pictures in windows 8.1 and Windows 10 location? Windows 8.1 & 10 Default Account Picture locations? How to delete account picture and password from windows 10? Location of user account pictures windows 10? Where can I find the user pictures in windows 8.1 and 10? How to set user picture to default on windows 8.1 and win 10? Where are account pictures stored in windows 8.1 and Windows 10? Download windows 8 / 10 user account pictures? How to set the default image in windows 8.1 account? Images for users windows 8? How to remove profile picture from windows 8.1? How to reset restart picture on windows 8.1 to default account picture? Where to get back default account pictures for windows 8? Default location for picture with user profile windows 8? Download Windows Phone default pictures? Windows 8 profile pictures download? 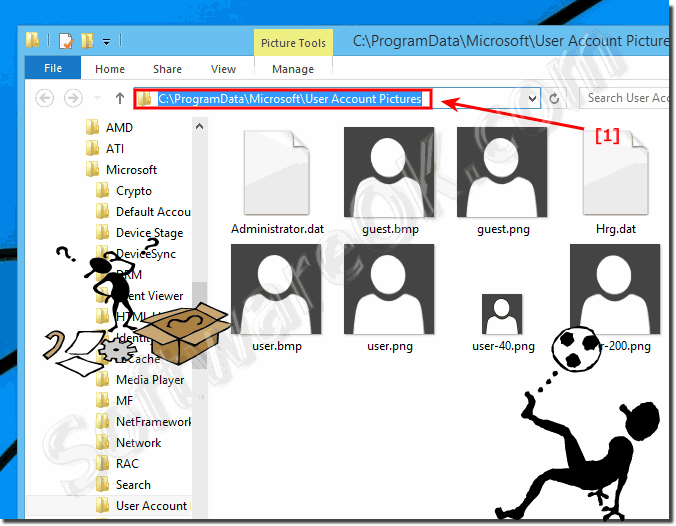 Where are default user account pictures in windows 8.1? Download profile pic windows 8.10? Window 8 user photo location? Windows 8.1 account picture location? Windows 8 profile pic folder? Windows 10 user account pictures save place? Folder for default user accounts pictures windows 10? How to get the default picture in the user profile in Windows10? Windows image locatins for sign in pictures? Windows 7 hd profile picture IMAGE.in? Default location of windows picture? Windows 10 account picture for all users? Where ar the default windows pictures? How to find account picture in windows 10? Windows 8 account pictures location? Cannot find user profile picture folder in windows 8.1? Win 8.1 lock screen directory? Windows 8 user account picture path? User account profile picture download, or the Windows 8 account picture location? Windows 8 default user picture how to find default windows picture? Where are windows 8 default pictures? What directory are pictures stores in in win 8.1? Where are the pictures for windows 8.1? Windows 8.1 default user image? Account picture location windows 8.1 / 10? Windows 8 User Account Pictures download? Windows 8 users image find? Default User picture Windows 8.1? Win 8.1 - where are default pictures? Windows 8.1 default login pictures? Where user picture in windows 8.1?